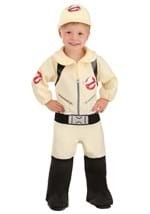 Become the new villain of New York City in this kids Stay Puft costume! 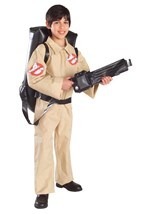 The licensed kids costume includes an inflatable polyester jumpsuit that zips up in the back. The elastic bands line the wrists and forearms of each sleeve and an elastic band also fits around the neck. A red ribbon is attached to the front of the jumpsuit, which can be tied to achieve the classic sailor look. 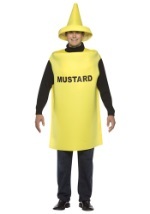 Each pant leg also features elastic bands around the ankles and each calf. 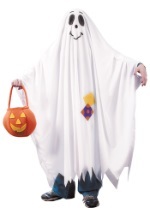 The legs end in white boot covers that fit on top of your child's shoes. 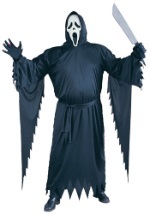 A battery powered electric fan fits into a hole in the back of the jumpsuit, and secures into the costume with a ring. A Phillip-head screwdriver is needed to remove the battery case, where 4 AA batteries fit (batteries not included). A clip on the power source lets you fit it on to your child's clothing and a small switch turns the fan on or off. 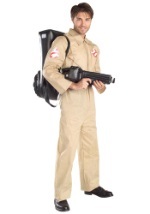 Instructions on how to inflate the costume are included. 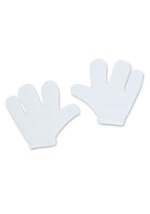 A set of white polyester gloves fit around your child's hands with elastic bands. 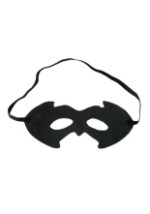 The polyfoam headpiece fits on over your child's head. Mesh holes at the eyes allow for clear vision, while a slit near the mouth allow for comfortable breathing. The bottom of the headpiece features the classic blue sailor mantle, while the top looks like the marshmallow man's face. 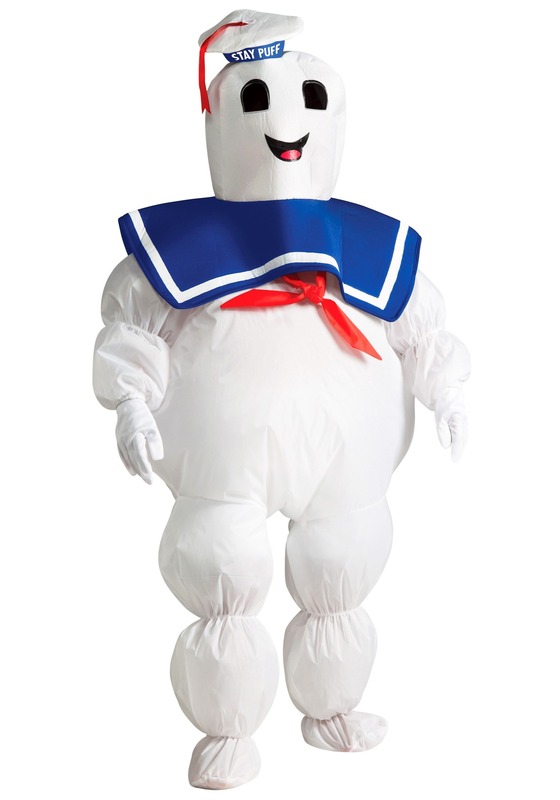 A little white sailor hat tops off the headpiece with a blue banner that reads "Stay Puft." 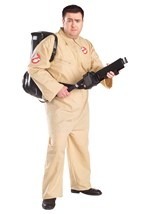 Check out our other Ghostbusters costume to complete your group!